This year we have been very busy testing out toys, clothing, gadgets and food. 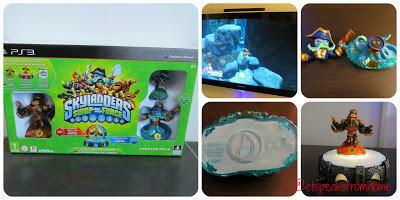 We have also been to the Argos Christmas event in July and played the PS4, Skylanders Swap Force and Disney infinity. At the same time, we also went to attend a short session with Beano Christmas.Last month, I went to attend the Argos Top Technology predications for Christmas! What an interesting year! So this is my round up for this year and hope you will find it useful.Toys for Boy:1. Skylanders Swap ForceRecently, we had tried out the new Skylanders Swap Force, the game has a lot of variety with the many Swap Force character combinations you can make and the game itself is fun, challenging and very enjoyable. 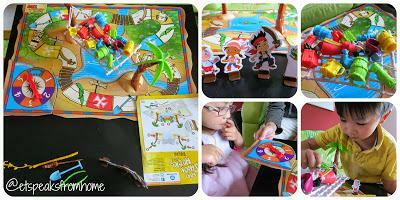 2. Who Shook Hook?This is a quick, easy and fun game! This also helps to improve children's co-ordination and thinking skills. We had so much fun playing it! 3. Illuminated Solar SystemI love the attention to detail on the sun. Also the sunlight is not too bright which provides a nice ambient glow at night. My son is fascinating with it. 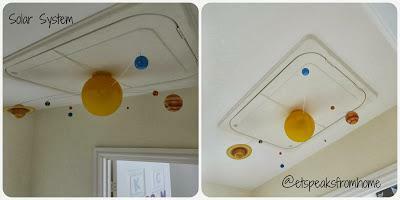 It is great that we can teach our children about our solar system in the comfort of our home. It is also a very engaging way of teaching science. It's not strictly scientifically correct but is a great gizmo for any budding astronomers. Toys for Girls:1. 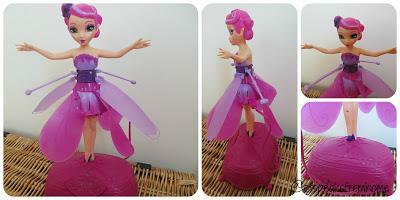 Flying FairyThe fairy is lightweight and beautifully made. Her wings are made from soft plastic (no sharp corners) which is quite similar to a mini fan. This is a fun toy and brings so much laughter to the house. This is a very unique and fun fairy! 2. Until We Hug Again BearThe bear is very well made. The material is very soft to touch and the body is filled with cotton, but not overly so. 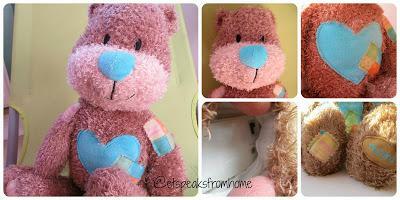 This makes it easy for the children to cuddle and press to hear the recorded voice. It is unique, with it's ability to record a personalised message, and affordable. 3. 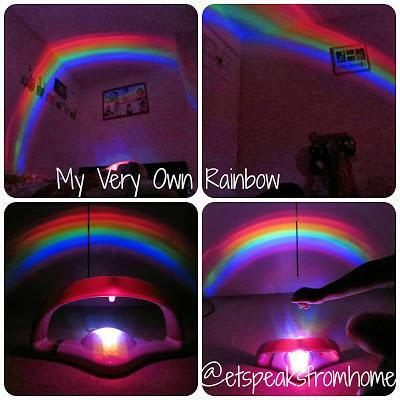 My Very Own Rainbow ProjectorThe projector is very lightweight and noiseless. It can be positioned anywhere around the house if running by battery or dependent on the length of the cable if using a power adaptor. Overall, I am very happy with the quality of the lights and the ambience it provides. Toys for Older Children:1. 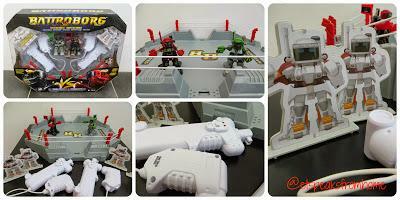 BattroborgThe micro battling robot is highly detailed and lasts approximately 20 minutes before the next charge. Both children are so eager to fight but got quite upset when their robot gets KO'ed. This is a fun and quick easy game. You can win one by entering here: http://www.etspeaksfromhome.co.uk/2013/10/giveaway-win-battroborg-worth-6999.html. Competition ends on 22 November 2013! 2. 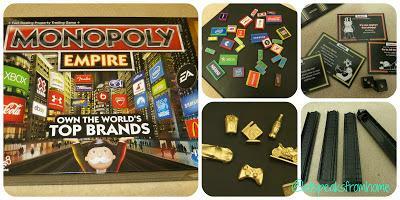 Monopoly EmpireIn this game, it is hard to predict who will win this as there is always a twist in the game. We all enjoy playing with this new game and I would highly recommend it to anyone as it is a great game to involve the family! These are a few of my favourites too:1. Paul's Yard Boomer Kids Bike I would highly recommend Paul's Yard Boomer Kids Bike to any other parents. It is very unique and very well made. 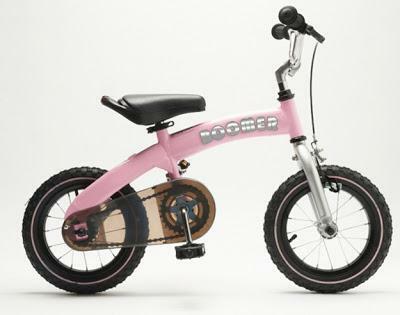 There are obvious benefits to the child for having the same bike when moving from the balance bike form to pedal bike form. 2. 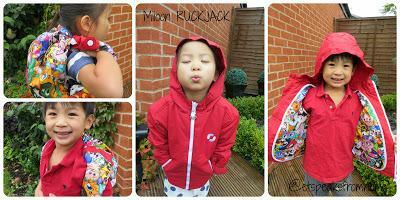 Miioon RuckjackI do love the idea of how it transforms into a rucksack by turning inside out and zipping up. It is quite simple to convert. When it is a rucksack, it is quite small which allows you to carry just a couple of smaller items. Not forgetting gifts for adults!1. Cable Cotton I am very happy with the quality of the balls, choice of colours and the ambience it provides. I rate this 5 stars out of 5. I would highly recommend them to anyone for indoor lighting. It also works well as a night light in a nursery room or you could use it to decorate a Christmas tree. 3. 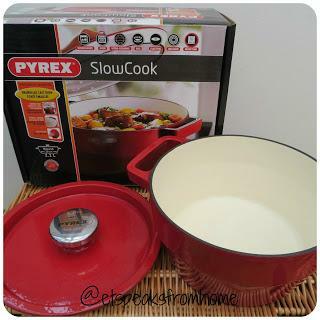 PyrexThey have amazing products at affordable prices. Do check out my blog post! We have tired out their slow cooker, Impressions, 4 in 1 Plus range, Kitchen lab and Flexi Twist Mould! Phew! These are the few I would like to recommend for now! I hope you like it. I would probably add more as I am currently testing out Furby for ToysRUs Toyologist and others! Happy Shopping! Disclosure: All the links are internal links to my review.